Bloggers in business settings frequently give up writing their blogs fairly promptly after that first flush of enthusiasm is waning. Indeed, most blogs are set up, contributed to occasionally and then left to wither and fade away. But it need not be like this. The reason that many bloggers give up – especially in business – is that work gets in the way. Profiting from a blog is not an “overnight success” story (in spite of what some of the so-called “gurus” would have you believe). It is, in fact, a gradual process whereby your business gains from an ever growing body of knowledge and expertise published online. In other words, blogging is not a “one-off” thing you can have a “go at” and see what happens. It is a marketing activity which you need to commit yourself to. And as the marketing expert Nigel Temple explains, all marketing needs to be a core activity, not an “add on” to your business. So, like any other central business activity, blogging needs to be planned if it is to be successful. Most business bloggers give up because they have no plan. They don’t know what they are going to write from one day to the next – indeed they don’t even know if they are going to blog at all today. They just seem to do it when the muse strikes – and guess how often that is…! Today, however, I knew I was going to write about the importance of blog planning – because I had planned to write it. Indeed, you may have noticed a new feature on this page towards the bottom of the right hand column, called “Coming up”. This shows you the list of topics I shall be covering in the coming few weeks. Up until now I have kept my plan secret – now it’s public and you can see what areas I’ll be writing about. The fact is, all successful bloggers plan in advance what to write about. Each month I set aside a couple of hours to work out the ideas and themes I want to include in the four weeks ahead. I then put them in my calendar. I add any useful notes or web links to each calendar item, so that when I come to write the blog entry everything I need is to hand. In fact I created a short video about this process over two years ago – but it’s still relevant today. There are just four simple steps to working on a plan to make blogging easy. 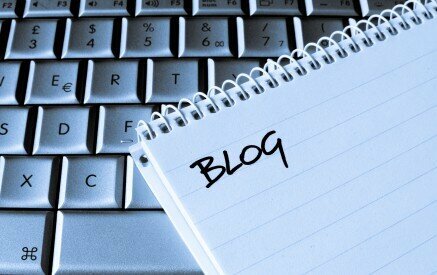 Decide how often you wish to blog; will it be daily, once a week, twice a week? Sort out some overall themes you wish to cover and allocate a single theme to each time you will blog. So, for instance, every Tuesday for me is “blogging” day. Set aside a couple of hours each month to work on your blog plan. At that planning time slot, allocate specific topics to the dates on which you will be writing about particular themes. For example, Monday is the day I now allocate to writing about psychology and I’ve marked down the topic of “building online rapport” to Monday 29th June. As I then go about my daily work if I see a web site that has something relevant to a topic, I’ll bookmark it for that date. I also have a clippings file for material I see in printed publications and I make notes at my Evernote notebook. That way, when I come to write something I have the research already done with little effort. Whenever possible, on the day of writing your blog, look for something topical to add to it – yesterday, for instance was Susan Boyle’s turn on this site. Making things topical whenevr possible means you’ll gain more attention and more traffic. If you need to find topical material, the easiest way is to set up several feeds and news services relevant to your subject area on Netvibes. By combining a monthly plan, with efficient note taking and a system for finding topicality, you’ll soon find blogging is much easier and is no longer a chore. Five ways to prove you are an expert Customers trust you more when they believe you are an expert in your topic. Here are five ways you can convince them of your expertise.